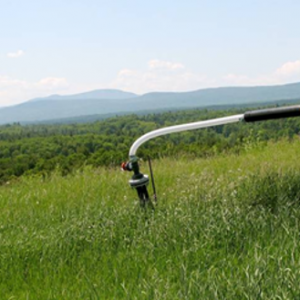 There is one operating lined landfill in Vermont and it is located in Coventry. The landfill is owned and operated by New England Waste Services of VT, Inc. (a subsidiary of Casella Waste Systems, Inc.). The landfill manages approximately 75% of the waste generated by Vermonters, the remaining 25% goes to disposal facilities located in NH, NY and MA. There was a second lined landfill facility located in Moretown, VT however, that facility closed in 2013 due to compliance issues. The landfill is a state-of-art, highly engineered and regulated facility. Gone are the days when there was a “dump” located in each town. Those dumps were not lined and the liquids from the waste would leach into and contaminate groundwater. For this reason, dumps were ordered to close in the early 90’s. Newly constructed landfills are required to be double-lined with high density, low permeability , puncture-resistant plastic to capture the liquid (known as Leachate) preventing it from contaminating soil and groundwater. The leachate is pumped off of the liner system and taken to wastewater treatment plants for treatment. 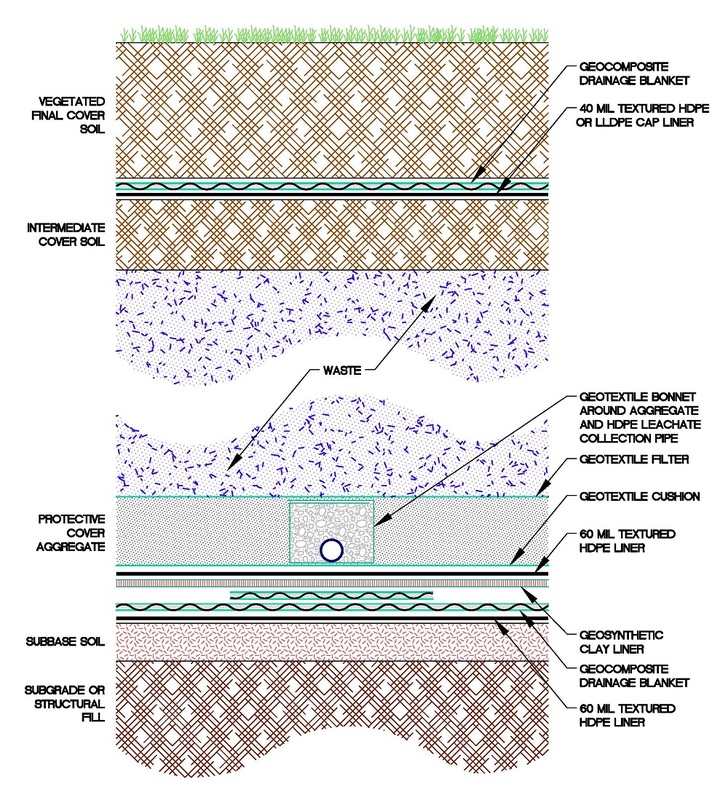 Below is a cross section of modern landfill liner systems. When landfills are constructed, they are built in segments referred to as “cells”. When waste is placed into a new cell, the first five feet layer of trash has to be free of sharp objects – this layer is called the “fluff layer”. 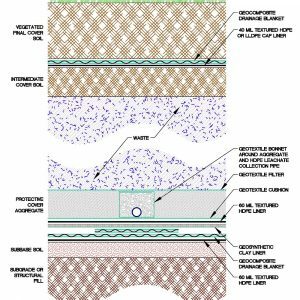 The fluff layer is to prevent any large, rigid objects from damaging the liner system. 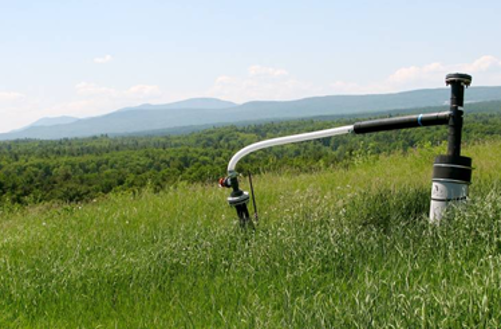 The landfill is an important part of Vermont’s solid waste infrastructure. The facility provides a safe and environmentally responsible way for managing our waste. Without it, all of our waste would have to be transported to disposal alternatives in other states which would in turn would increase the cost of disposal for Vermonters and increase Vermont’s carbon footprint. We would also be at risk if other states decided not to accept Vermont’s waste. We all need to do our best to produce less waste by recycling better, and making smarter purchasing decisions – Remember…. its Reduce, Reuse AND Recycle!